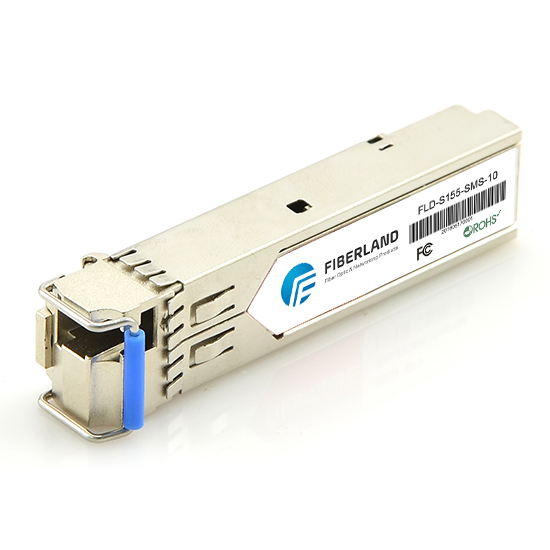 As SFP+ transceivers are widely and commonly used in data transmission, you may face the faults in using SFP+ transceivers, and sometimes even result in a bad situation and heavy loss. This article will help you to diagnose the SFP transceiver problems (take Allied Telesis SFP Transceiver for example) and give some resolution tips. Poor performance (or excessive errors): the possible causes of this problem include that cabling distance is exceeded or port statistics show excessive frame check sequence (FCS), late-collision, or alignment errors. See your Allied Telesis SFP module documentation for cabling guidelines. No connectivity: this problem is more likely related to cabling. Using incorrect or bad cable, or incorrect cable wiring, or STP (Shielded Twisted Pair) checking for possible loops may probably lead to this problem. Confirm the pinouts correct for the proper application of cables. Corrupted software: the corrupted software here includes the following three situations. 1. The port is placed in error-disabled state after SFP is inserted. Possible Cause: this problem is usually caused by a bad or non-Allied Telesis-approved SFP module (ie. the incompatible SFP). Remove the SFP module from the switch and replace it with an Allied Telesis-approved module. Use the irritable recovery cause GBIC-invalid global configuration command to verify the port status, and enter a time interval to recover from the error-disable state. The best advice is to use the Allied Telesis original SFP or 100% Allied Telesis compatible SFP (If you decide to use a third-party SFP, please ensure that your supplier is assured.) that is adapted to the switch. 2. Device does not recognize the Allied Telesis SFP module. Possible Cause: this problem is generally related to the Allied Telesis SFP installation. Situations, such as Allied Telesis SFP is installed upside down or does not snap into the slot can cause this problem. Verify that the Allied Telesis SFP module is not installed upside down. Remove the Allied Telesis SFP module. Inspect for physical damage to the connector, the module, and the module slot. 3. Excessive errors found in port statistics. Possible Cause: bad adapter in attached device or STP checking for possible loops can cause this problem.